Challenge your family and friends with a ‘Splatter Face’ battle game. Take the hilarious game to a whole new level with a duel battle function. For two players – double the excitement and twice the tension! Who will be the first to get a face full of cream? Great fun for the whole family this Christmas! 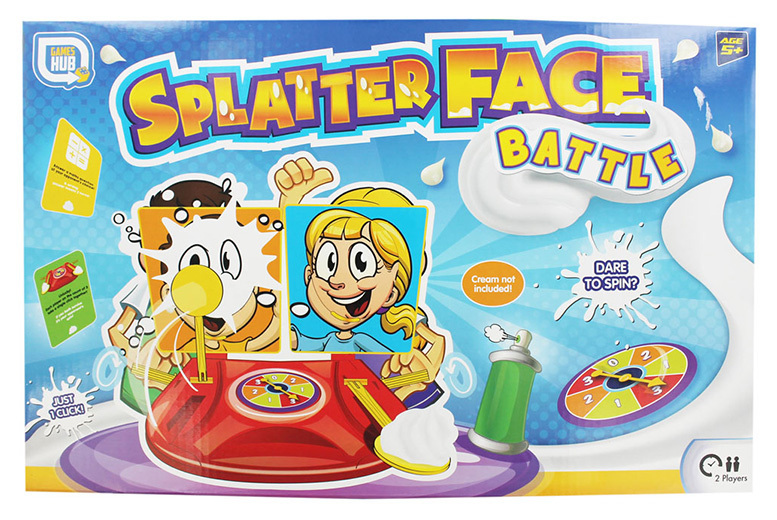 Contains: one Splatter Face game, two cream wacker arms, two game handles, one double-sided game spinner, two face guards, four challenge cards and a set of instructions.